When I travel, I always look for unique hotels to try during my stay. 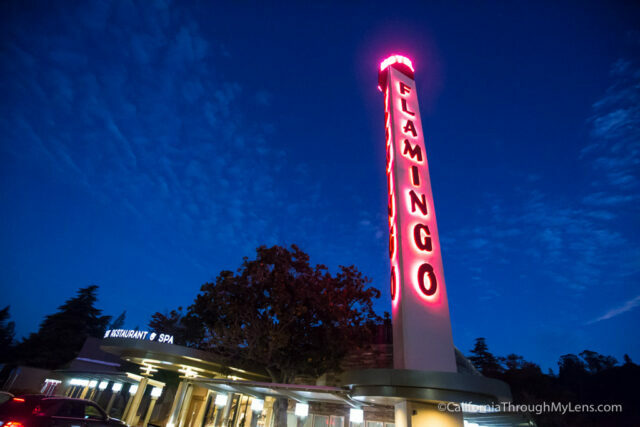 So during my recent trip to Santa Rosa, I chose to stay at the historic and mid-century modern spot known as the Flamingo Conference Resort & Spa. 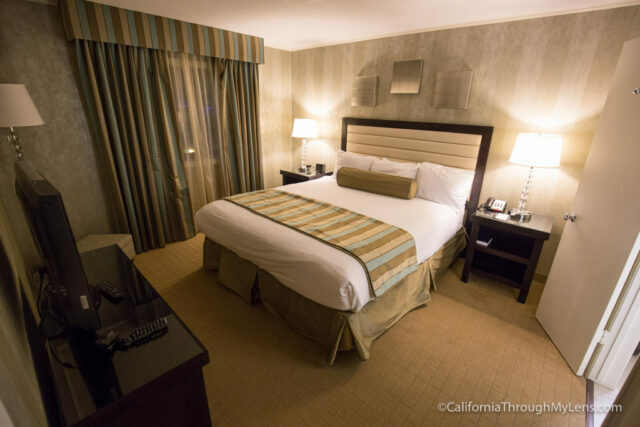 With a history that includes being a playground for celebrities in the mid-1900’s, and as the largest holder of Peanuts states (8) in Santa Rosa, the Flamingo Conference Resort & Spa is a fun and well-priced place to stay in Sonoma County. After getting off Highway 101 on 3rd St, you will want to make your way to 4th St. The Flamingo Conference Resort and Spa is on the corner of 4th St and Farmers Lane. You can’t miss it as there is a large neon flamingo sign that beckons you in. The hotel is in the shape of a circle, with rooms in different buildings around the circle and a big pool in the center. 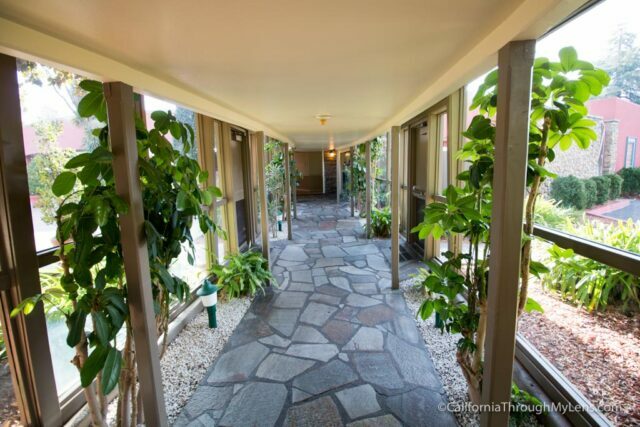 I really liked that they had enclosed breezeways that you could walk through to get to each part of the hotel. It was a nice touch, especially on cold winter nights. 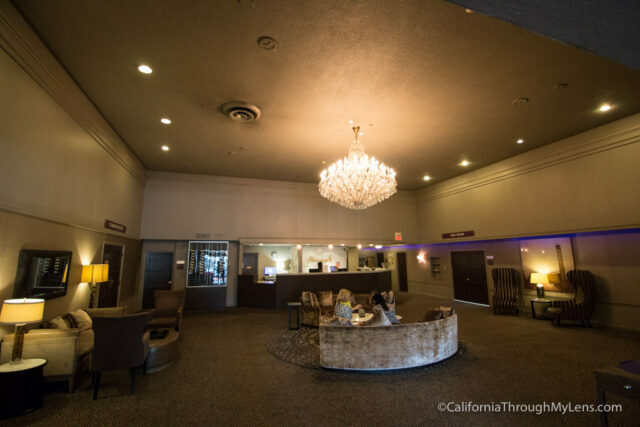 The lobby of the hotel has images of famous Hollywood actors hanging out by the pool in the 50’s and 60’s, as well as a newspaper article from when the hotel opened. It was only $8 to stay! 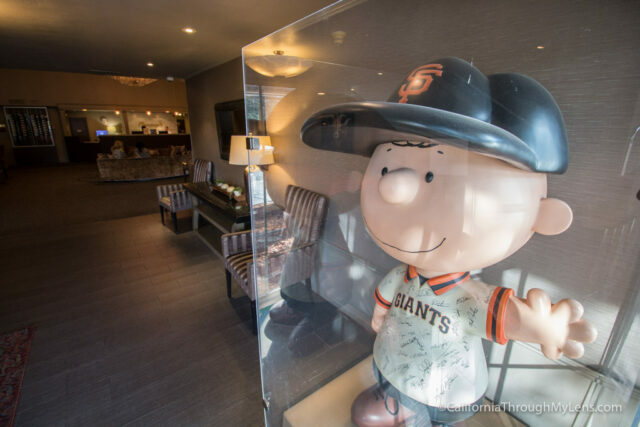 The hotel lobby also has a couple of Peanuts sculptures since the home base of Peanuts is in Santa Rosa (read more about that here). 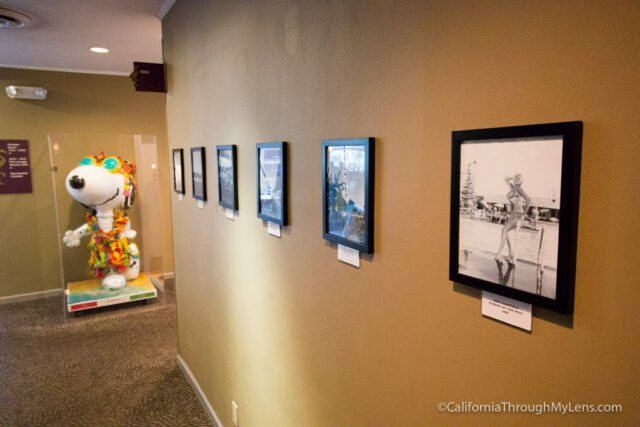 It is fun to see the sculptures and exploring Peanuts history in Santa Rosa is an excellent way to spend a day. The hotel just went through a massive multi-million dollar renovation, and you can see that come through in the rooms. 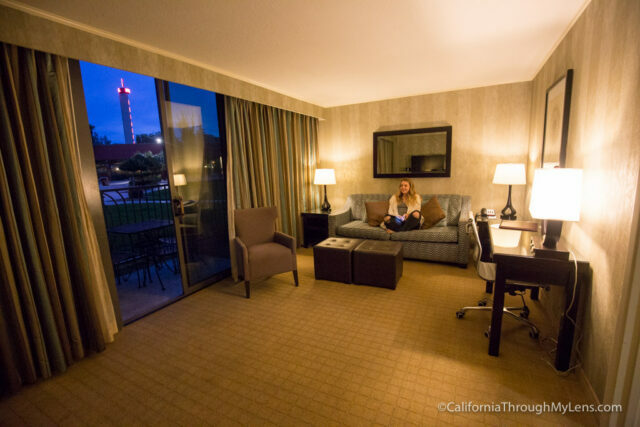 I had a corner room, and it was awesome. The room featured a large living area with a couch and TV. 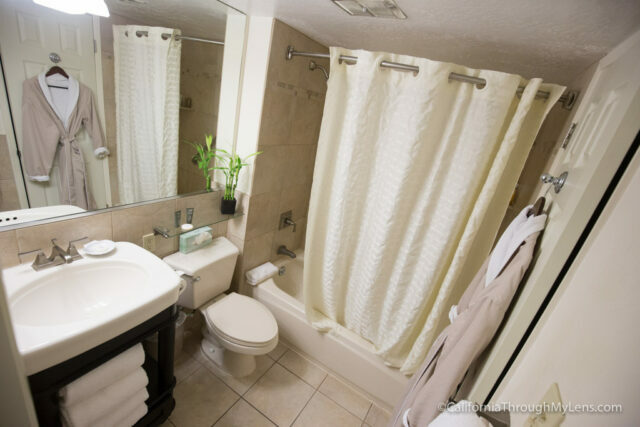 There was a smaller room connected to it with the King sized bed and the attached bathroom. There was also a nice patio that overlooked the pool and the center area of the hotel. 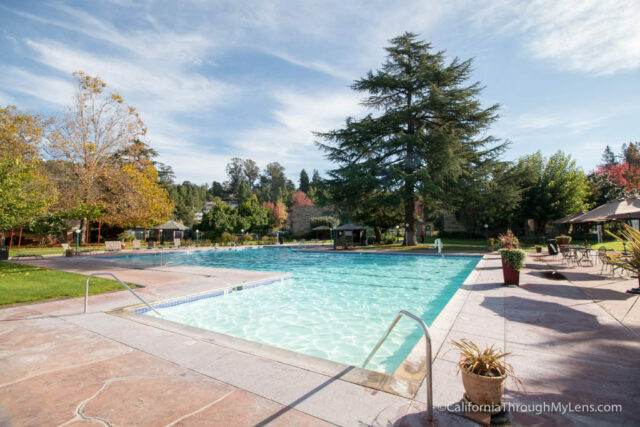 The hotel has a fantastic health club that you can use as well, which has weight rooms, yoga classes and a lap pool for swimming. All in all, I was impressed with my choice of the Flamingo Conference Resort and Spa while in Santa Rosa. It was a great jumping off the point for Sonoma County, and I recommend you give it a try if you are in the area.